How do I use the Course Navigation Menu as an instructor? 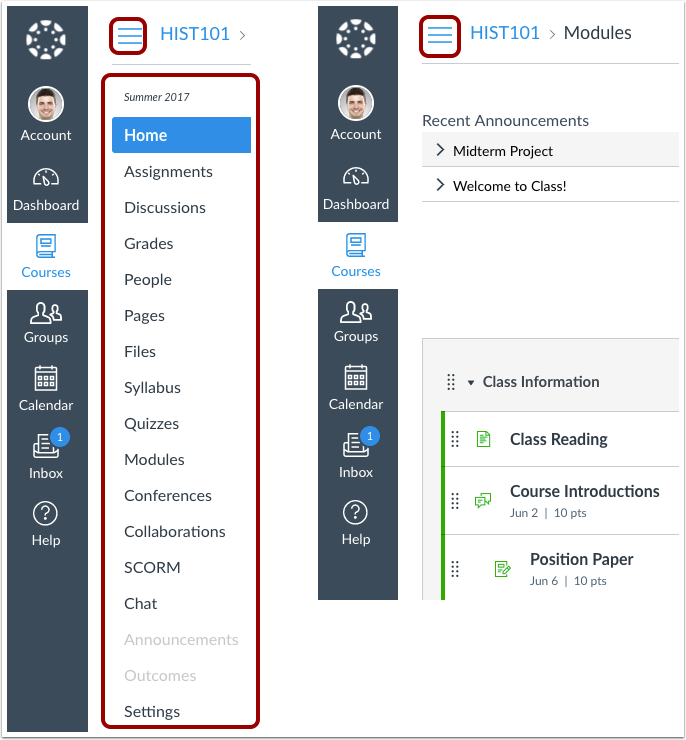 The Course Navigation Menu is a series of links on the left side of your course that help you and your students access different course areas. 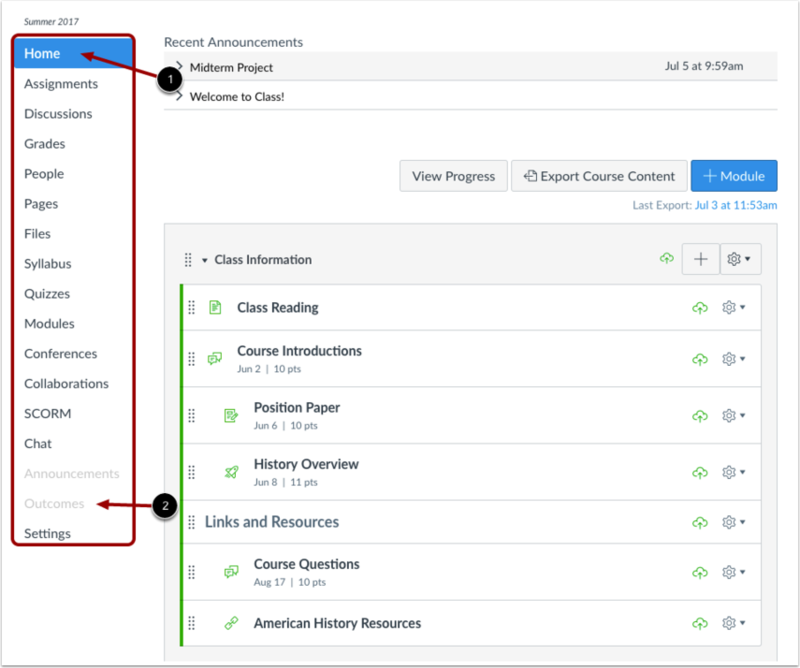 Depending on the structure of your course, you can choose to reorder and hide course navigation links. The active link is highlighted with different text and background colors . This highlight helps you quickly identify the feature area you are currently viewing in Canvas. Links that are hidden to students are faded in the list . The Home page is part of Course Navigation and displays the Course Home Page.
) Tools may create additional links. To open a feature area in Canvas, click the name of the Course Navigation link. 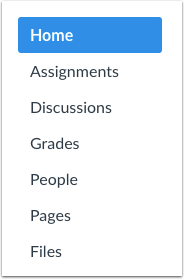 To expand or collapse the Course Navigation Menu, click the Menu icon. The Course Navigation menu will show the feature area as an active link. Previous Topic:How do I use the Course Home Page as an instructor? Next Topic:How do I manage Course Navigation links? Table of Contents > Course Navigation > How do I use the Course Navigation Menu as an instructor? Re: I have placed the lecture notes on the Files. Section students claim they cant access them? ?